Do You Need Extra TV Points in Hermit Park? Call TV Magic Today! If you're a Hermit Park resident who is finding that a lack of TV Points is making your life difficult, then you need TV Magic Hermit Park. Often people put up with the inconveniences caused by not havine enough TV Points when they could so easily have these problems solvd with a quick and easy solution from TV Magic. Having Extra TV Points just makes your day run so much more smoothly. 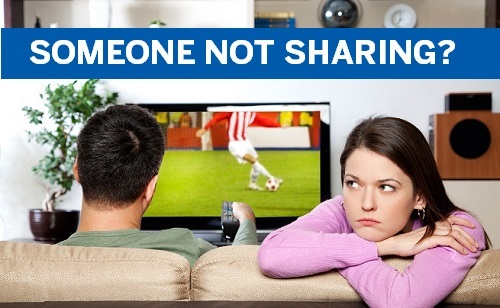 If you're sharing one TV among several family members, chances are there are going to be arguments over the TV, and who gets to watch which shows. Picture this; you are in a family of five people. When you get home form work, you are really looking forward to watching a documentary that begins at 6pm. Meanwhile, your parnter or spouse is looking forward to watching their favourite TV show at the same time, but the two teenagers are each wanting to watch different programs as well and the toddler wants to watch cartoons. It's not hard to figure out that a few people, if not everyone, are going to be upset and dissapoainted and there's sure to be an argument among them all. It would've been so much easier if you'd only had Extra TV Points installed. 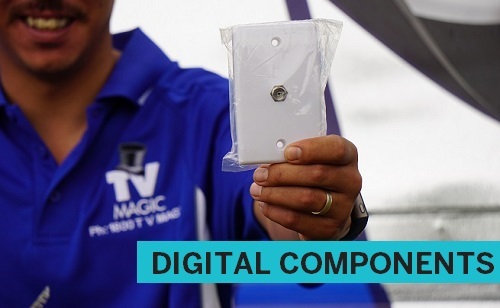 If you are looking for a solution to family arguments and the inconvenience of missing out on your favourite shows, then all you need to do is give your friendly, local technician a call at TV Magic Hermit Park today and we will get all your TV Points installed in no time! 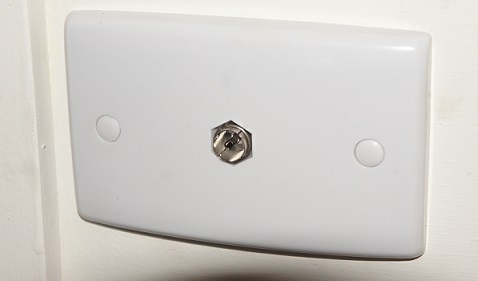 TV Point Installation - Where can you put a TV point? How many TV points can you have? Do you want a TV point in a particular location? Do you need it to be under a window? Does your roof allow no access or do your walls have no cavities inside them? Some of these scenarios make installing a TV point extremely difficult. There are times /customers who want their TV points exactly:- where they want them! And TV Magic provides such a service. How much does it cost? Call me out for a quote! Every house is different and situation is different. Whilst sometimes it may only cost an extra $25 for the 'difficult option' other TV points have been known to cost $1000 or more (and the customer had to have it done, because they had no TV, (and noone else would do it). Call me for a free quote or book online! TV points under windows, bottom floor of two storey homes, no wall cavities or extra difficult points may attract additional expenses. Tea up a time for your local tech to come out today for a fixed quote! We have no call centre! Book online - sends your local tech an SMS and reveals their phone number. 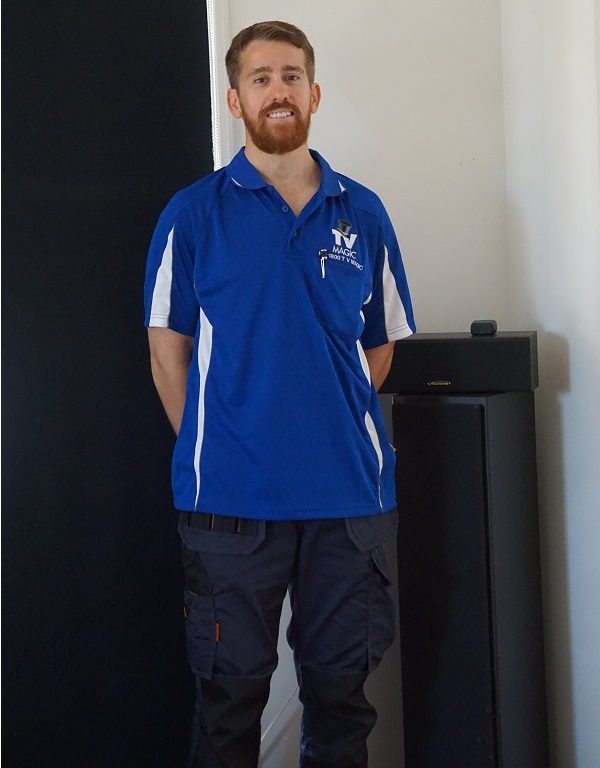 Local Townsville TV antenna Installer Gordon - My other Services include..
Speaker Installation, Multi Room Audio, Home Theatre Calibration, Commercial AV systems, MaTV, Foxtel Distribution, Universal Remotes, Projector Bulb replacement, Dolby Atmos, THX calibrations, Multi Panel Wall Mounting and more. Speakers can be installed any where you desire! Where a cable can be run I can put a speaker there! 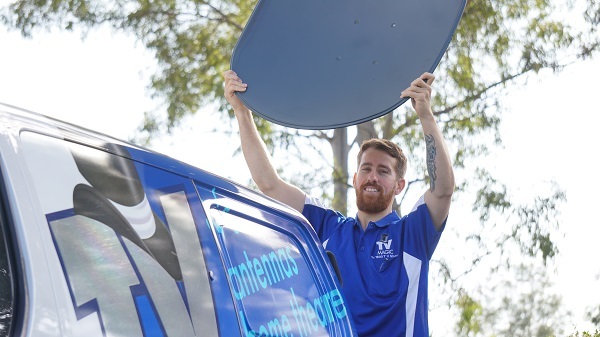 Where you need your Foxtel dish moved or installed I can help. I will install your satellite dish for optimal performance as well as putting it where you actually want it! (and not just where it's convenient for a foxtel installer - because of the time constraints placed upon them). Call me for a free quote. 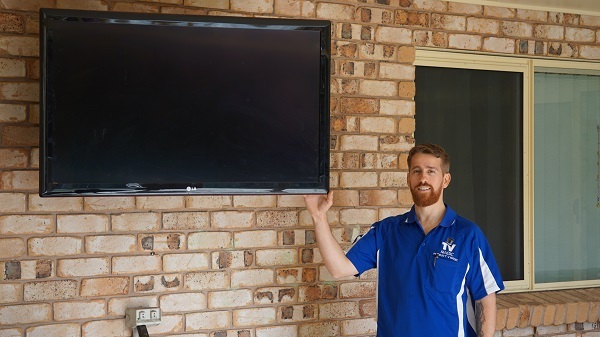 Townsville TV Wall Mounting & Hanging - all TVs - any brand - any size - any where! Where there is a wall, there is a way! (Or often, no wall required!) I can mount Televisions in airports, cafes, shop windows, super-markets, aeroplane seats, yachts, living rooms, bali huts, outdoor decks, bedrooms, media rooms, bus stops, court yards, police stations, theme parks, or toilet doors. 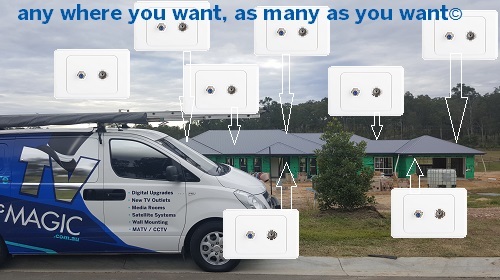 Where ever you want a TV (or multiple televisions) mounted at your home, business or public space Call me on 0473 495 555.